Lagos – The Lagos State House of Assembly on Thursday passed a bill to establish the state’s Teaching Service Commission for the Control and Management of Teaching Service Matters. The passage followed the second and third reading of the bill on the floor of the House after Lanre Ogunyemi, the acting Chairman, House Committee on Education presented the stakeholders’ reports on the bill. The proposed law is entitled: “Bill for a Law to Provide for the Establishment of the Lagos State Teaching Service Commission for the Control and Management of the Teaching Service Matters and for Connected Purposes’’. The Speaker of the House, Mr Mudashiru Obasa, who conducted a voice vote before passage, directed the Clerk of the House, Mr Azeez Sanni, to forward the clean copy to Gov. Akinwunmi Ambode for assent. The News Agency of Nigeria (NAN) reports that the proposed law was borne out of the need to further strengthen the education sector. 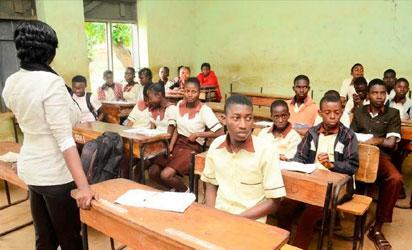 The 56-Section and five schedules bill repealed the Lagos State Post-Primary Teaching Service Law Cap. L54, Laws of Lagos State of Nigeria, 2015. The bill is also to take care of teachers and ensure that only professionally qualified teachers will be teaching in Lagos State in order to prevent infiltration into the teaching profession. The bill properly validated the creation of the six education districts in the state. It also provides for the establishment of the Lagos State Teaching Service Commission Board, consisting of five full-time members who shall be appointed by the Governor. The bill, among other things, empowers the commission to exercise control over all the education districts by coordinating the management of the districts. It also establishes the Teachers Registration Unit to register teachers in the state. Ogunyemi said that the bill would strengthen educational institutions and take care of the teaching and non-teaching staff as well as protect members of the commission. He said that the bill would provide uniform guidelines and control of post-primary institutions in the state to bridge the gaps observed in the state educational system after the creation of the six education districts. The post Lagos Assembly passes Bill to establish TESCOM, others appeared first on Vanguard News.